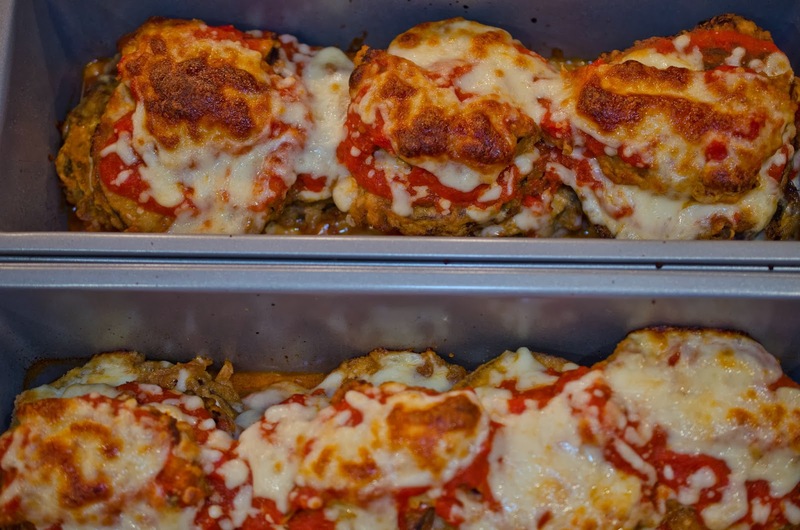 Tonight my friend Lori will have her recipe for eggplant Parmesan. Ask and ye shall receive. 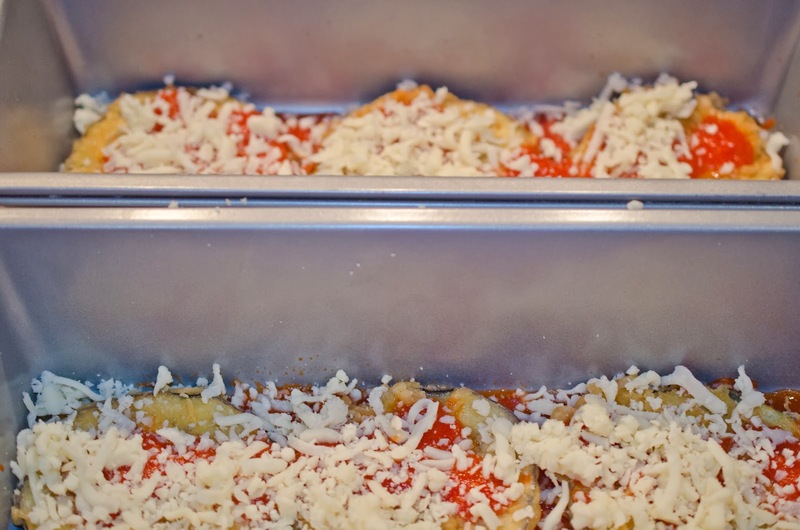 This recipe came about as a side dish to the massive lasagna I made on Saturday over the weekend for a dinner party. My friend Angela and I tag teamed dinner with another friend Tiffany helping that night, and with my husband's description of this particular dish we came up with a recipe using the ingredients I had on hand. 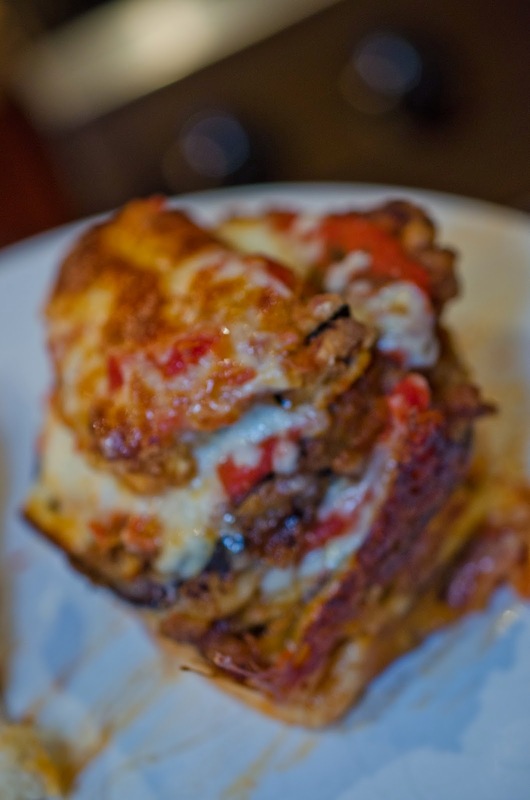 It was a hit, well liked by everyone, won out over the lasagna just barely too. Preheat oven to 450 Fahrenheit. I like the softness of the photo, and the taste of this meal was out of this world good. homemade sauce recipe found here). 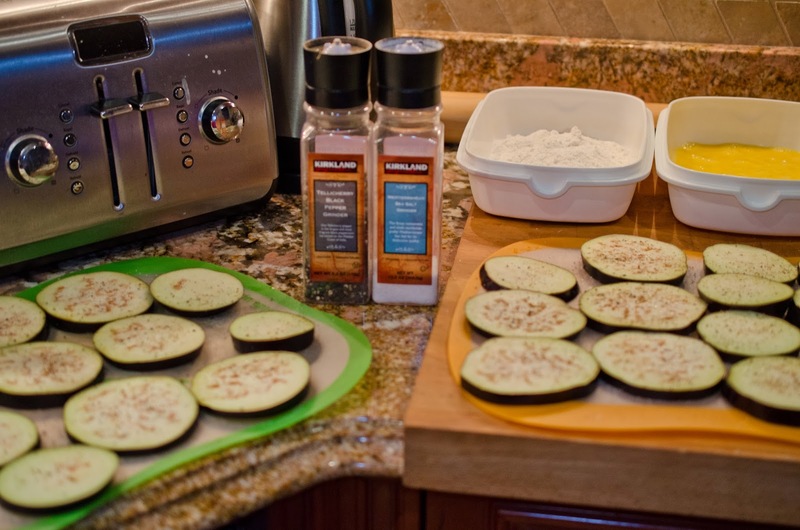 Slice eggplant into 1/4 inch slices. 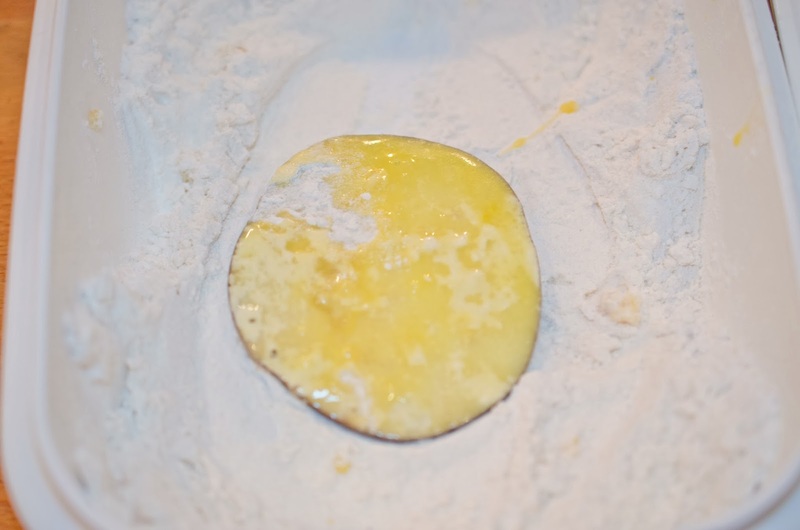 Sprinkle salt and pepper on one side of the slices. 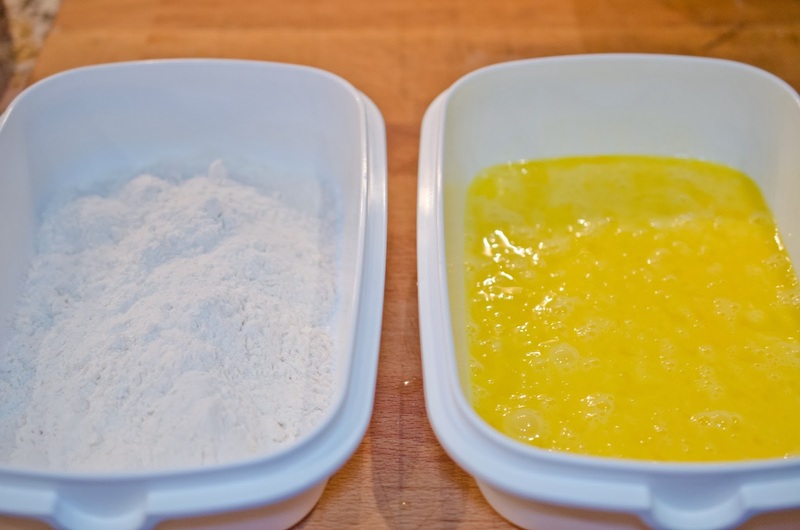 Place a cup of flour in container, with a fork beat the eggs in another container. This will be your dredging station. Preheat 1/2 inch of olive oil in large skillet. 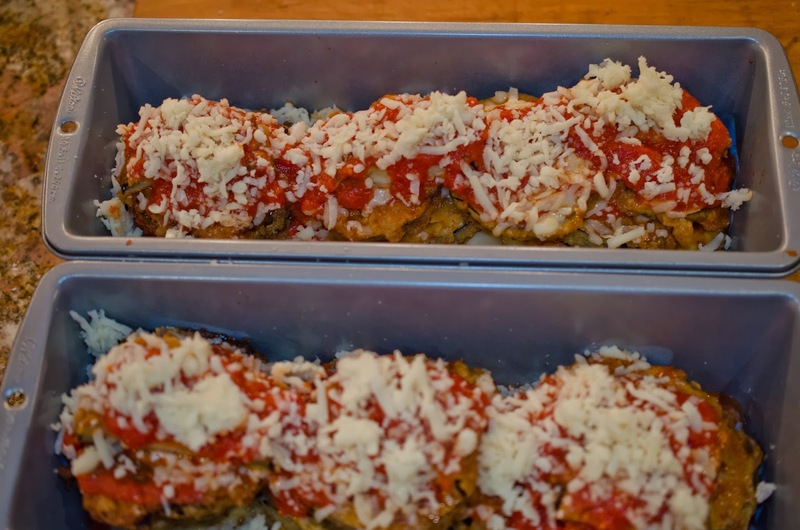 Fry eggplant until golden brown on both sides. 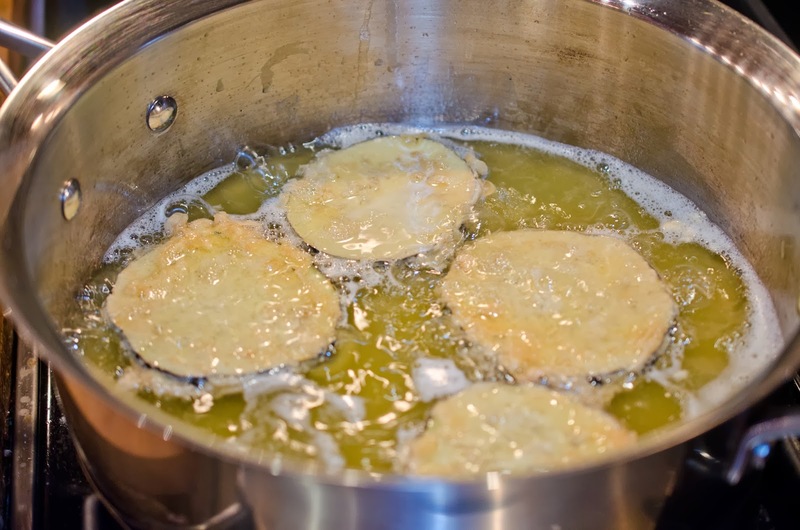 I changed the oil once in the middle of this process so I had fresh oil for all of the frying. 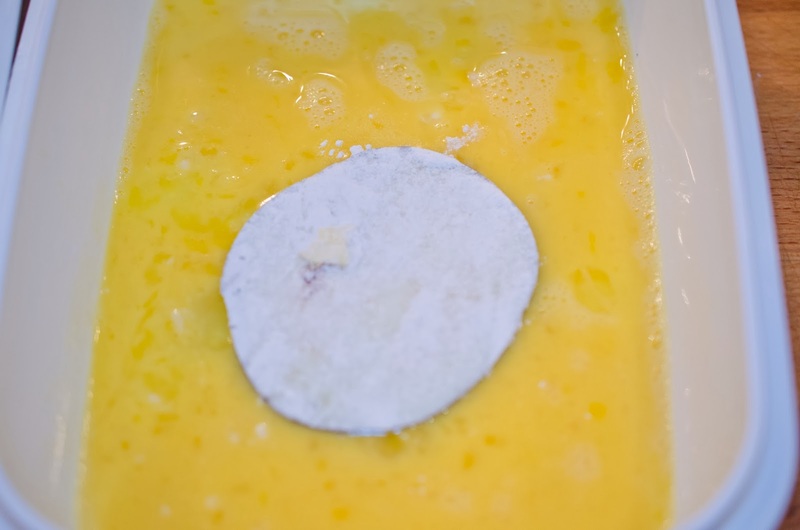 Remove from oil and place on paper towel lined plate. Sprinkle with salt. 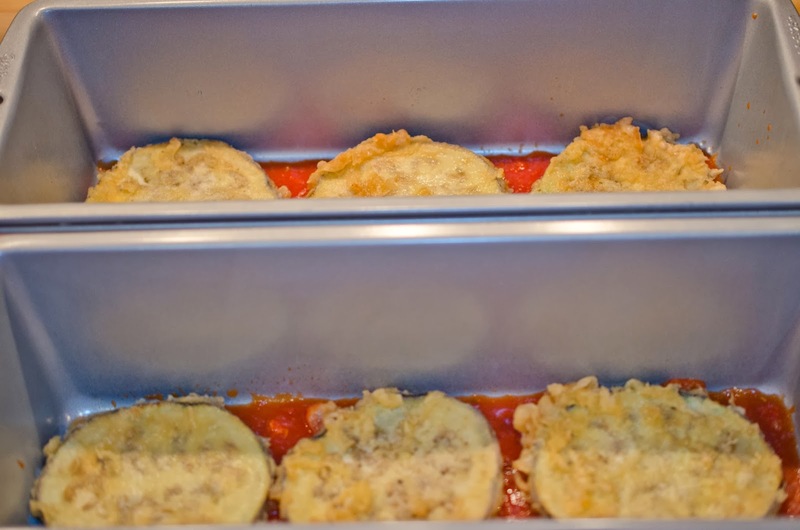 mother of invention when you don't have a rectangular pan) or to a 9x13 pan (glass or metal). 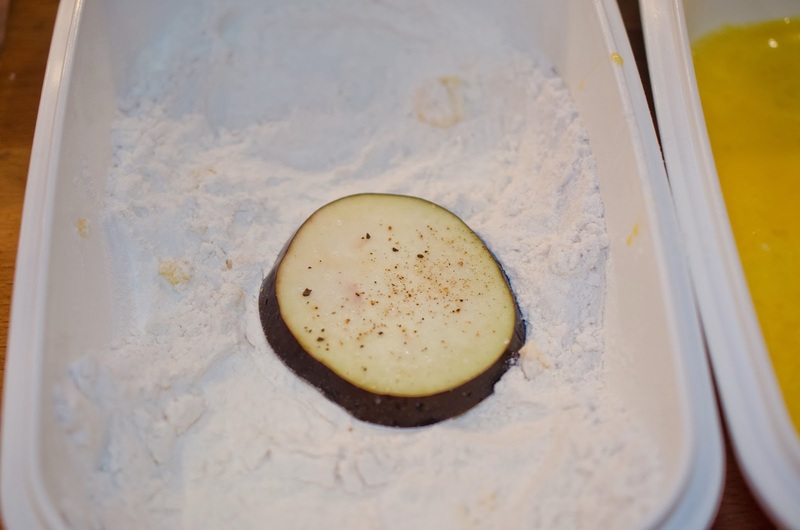 Add one layer of fried eggplant. Spoon on some sauce, a little really, and sprinkle with cheese. 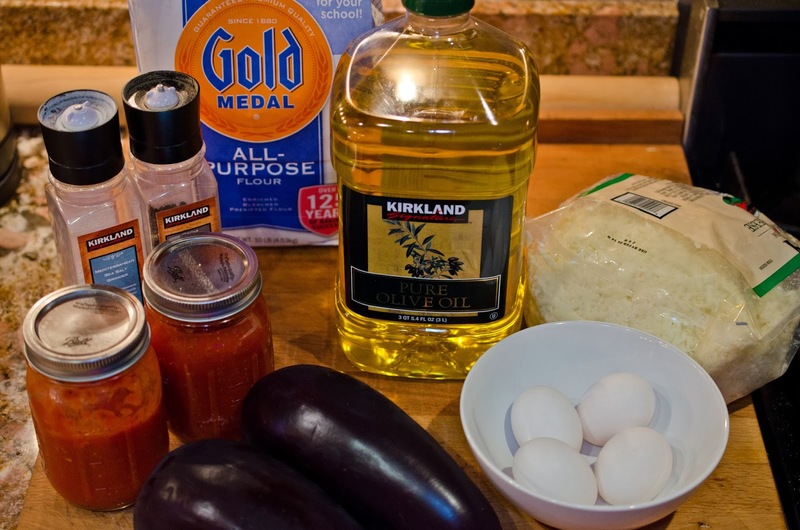 Repeat until all the eggplant is used. 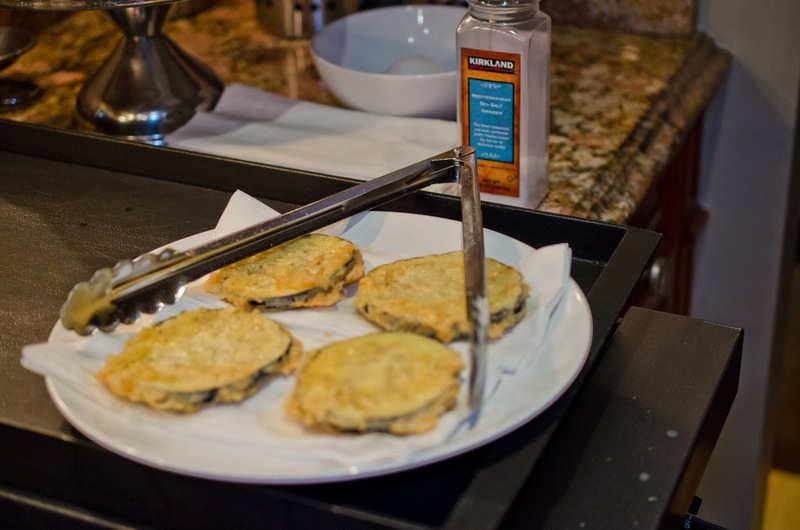 fried eggplant retains its crisp fried edges this way.